From childhood Lisa Kawski has been fascinated with how form, function and color all meld to create spaces that inspire and bring comfort. Her love of design eventually led her to earn a BFA in Interior Design from Rochester Institute of Technology. Her career has touched upon many facets within the design industry. She has solved complex space planning challenges for major corporations. She has developed unique interiors that have augmented business brands for restaurants and hotels. Over the last 15 years she has taken her extensive experience and applied her skills to guide her clients to co-develop living spaces that bring joy, are highly functional and are timeless. Lisa strives to specify safe, inert materials for her clients using recycled, sustainable and repurposed materials and products whenever possible. 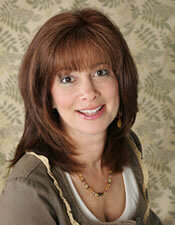 Using environmentally-friendly design practices allows her to create healthy, beautiful environments for her clients.